Previously we wrote a blog post about Art Therapy Associations and Organisations and a second blog post about establishing a business network. 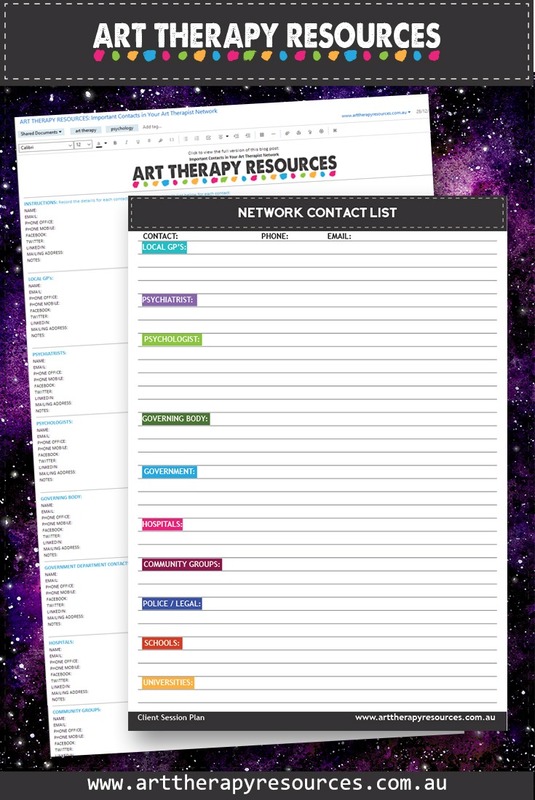 Below is a list of the most important professional contacts you will have in your own art therapy network. Each person in your network will influence and benefit different parts of your art therapy practice. As an art therapist, you can develop a suite of letters, templates, documents and marketing materials that will enable you to easily connect and work with other professionals. Create a landing page on your website that contains information that is helpful to people within professional networks. You can either make the page public on your website or keep the page private and send a link to the page at your discretion. You can include this link in your introductory letter/email. Connect with at least 5 contacts from each of the professional services (eg. 5 GP’s, 5 schools etc) and 1-2 of the larger organisations. Send your introductory letter/email as well as a number of brochures and business cards with the expectation these may be handed out to potential clients. Follow up in a month to reaffirm your interesting in maintaining contact. You may also want to include additional brochures and business cards. If you are unsure whether it is warranted to include additional material, you could include a note that you are happy to provide additional marketing material if required. An elevator pitch refers to a short statement that you can make to someone as you ride an elevator between floors. Your elevator pitch should address what you do and the benefits you offer potential clients within 30-60 seconds. Creating an elevator pitch is useful in both offline and online settings. It helps synthesise the specialised services that you offer in your art therapy practice and the ideal client that can benefit from your services. Keep it focused on your niche skills. Keep it focused on on your ideal client. Keep it focused on benefits. SHORT VERSION: I’m an art therapist who helps children who struggle with verbally communicating their experience around trauma-related events. LONGER VERSION: I’m an art therapist who helps children who have experienced trauma and struggle with verbally communicating their experience. I help children process their experience in a safe and supportive environment through art therapy activities. Most psychologists and counsellors in Australia will be aware of the Better Access plan initiated by the Australian Government. This initiative enables clients to access mental health services on a recommendation from their GP. For mental health services, GP’s usually refer their patients to mental health professionals who offer Medicare rebates. This is great if you offer Medicare rebates. If you don’t offer Medicare rebates, this puts you at a disadvantage. You can still make contact with GP’s to offer your services. In your contact, you should emphasise the benefits of your service and whether you provide a speciality service. For example, you may have expertise in dealing with addictions or dealing with non-verbal clients. In your introduction, you should highlight your target market so that the GP has your practice in mind when he/she comes across a client who would benefit from your service. You may or may not agree with the efficacy of alternative health services, however, they may open up a channel to reach people who are seeking help with issues that you can help with. Connecting with these businesses can expose your business to clients who may be experiencing relationships issues, trauma, depressions, eating disorders and learning disorders. Look for organisations who work with your ideal client but don’t have a full range of services on offer. NGO’s and smaller organisations are often working with limited budgets and are keen to find resources to help their clients. Creating your networking list requires initial effort and then routine contact once your initial contact has been made. Establishing a network can take persistence in exposing your business to other professional services. It is important to remain in contact, but not be intrusive on other people’s time. Initially, you could create a list of at least 20 existing referral sources or potential referral sources. 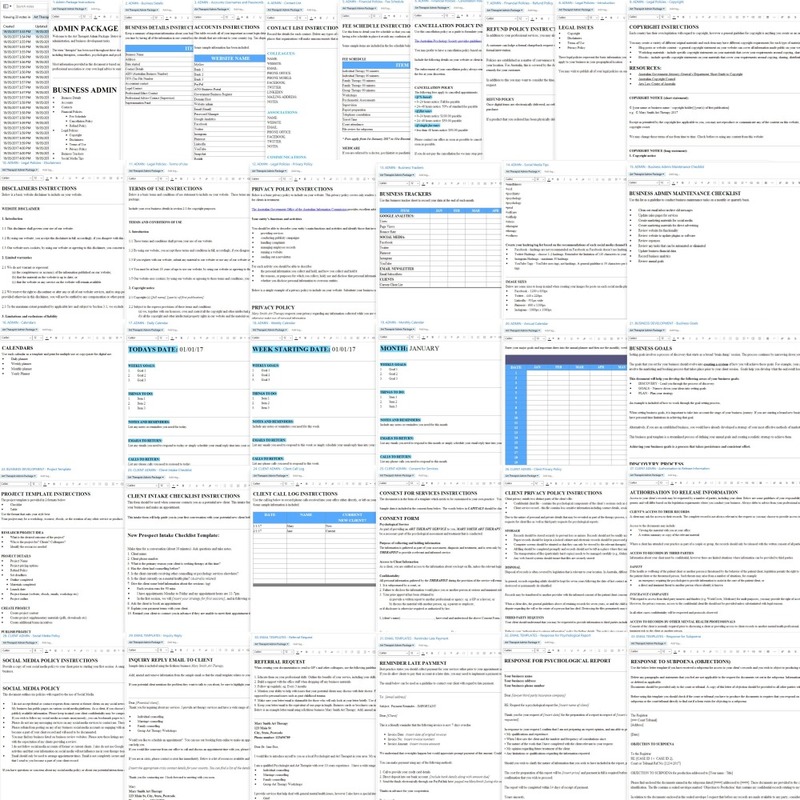 Over time this list could expand to up to 100 contacts. When you are creating your list, take note of their contact details, including social media. The networking process can sometimes feel ineffective in the initial stages where you appear to be the person doing all the work and possibly receiving no response. It is important to remember that persistence and consistency is the most important aspect of marketing your business. This has to be balanced with being respectful of the other person or business. 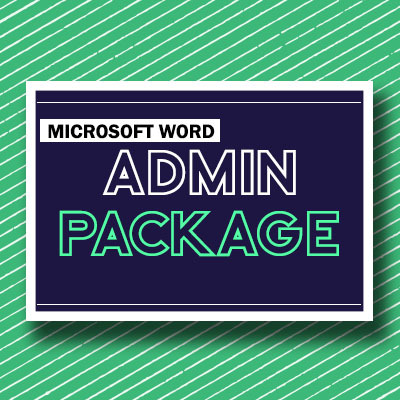 If you struggle to maintain an interest in networking, build the process into a part of your business administrative tasks. Set yourself a goal number of contacts to meet, eg. 5-10 contacts. If you use gmail, you can use an application called Boomerang to schedule recurring emails. If you use Outlook or another email program, you can set up a recurring reminder to remind you to send emails. When you create the reminder in Outlook, you can include a copy of your email that you wish to send. Email is the cheapest and easiest method of contact, however, you can also use other methods such as phone calls, handwritten notes/cards, or meeting in person for coffee/tea. Other ways of staying connected include attending conferences, CPD education events and community events. The main ways to stay connected online are through forums, LinkedIn and Facebook Pages/Groups. Online methods are best for networking within your own field of contacts, whereas networking with external companies and businesses is primarily done through direct contact. Your professional network should be a 2-way connection. Finding connections to help establish your practice and grow your client base is important, however, developing your network across many different avenues will also help you develop a broader range of skills outside of delivering therapy treatment, such as public speaking or contributing to social policy. In addition to developing your own skills, you could become a mentor and source of referrals to other therapists. Need help with creating your email and letter template? 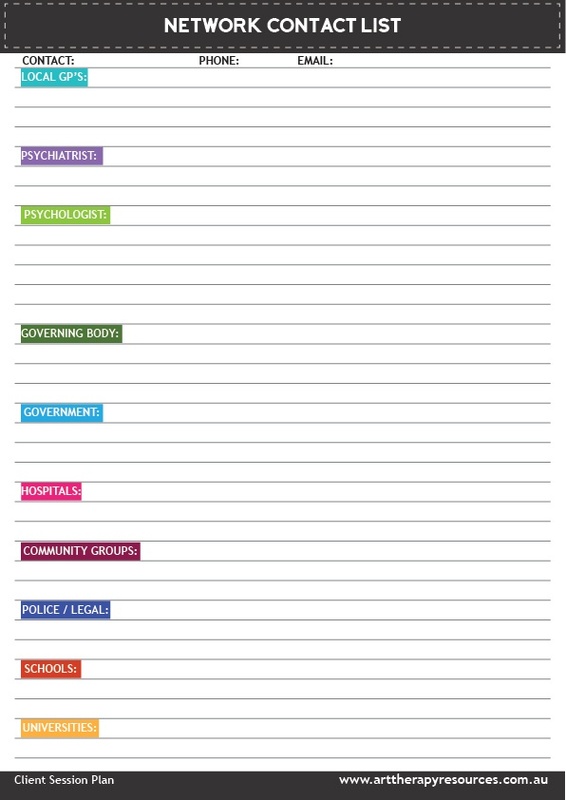 This template will help you communicate professionally with other professional services. 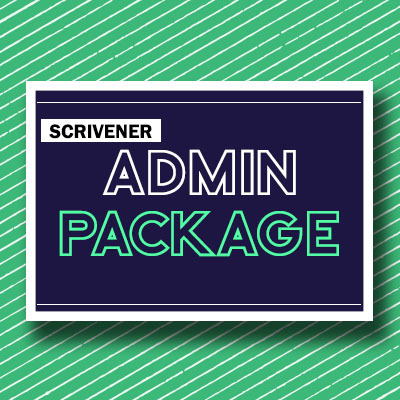 The Admin Package is available in 3 formats, including Evernote, Scrivener, and Microsoft Word. 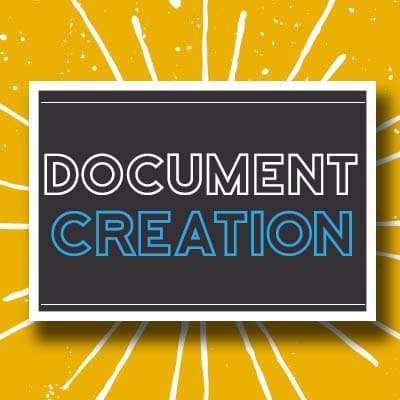 We also offer a Document Creation service for any other template documents that want to use in your business. 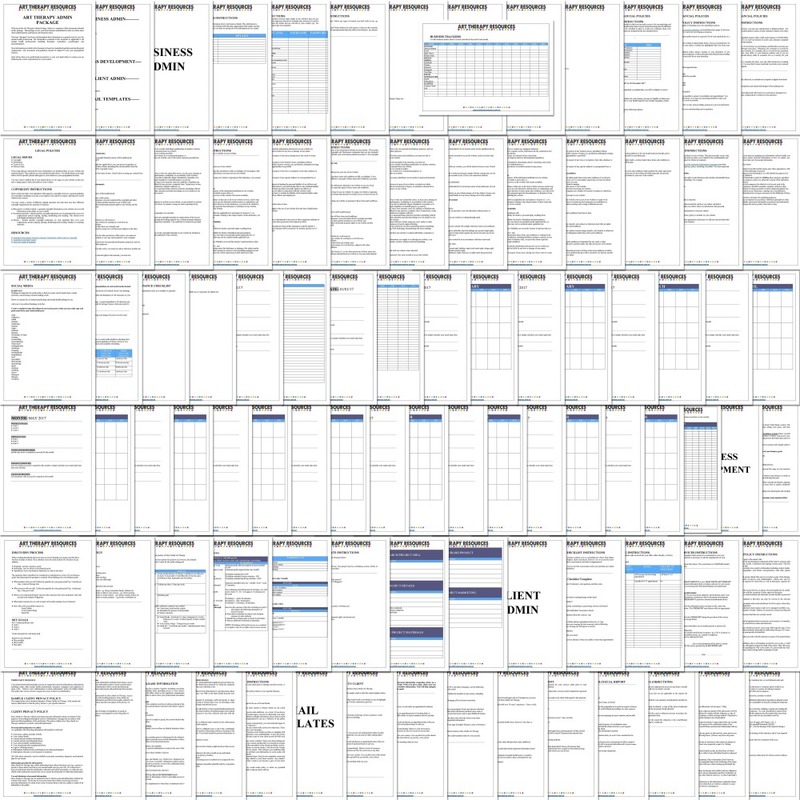 SIGN UP below to download the FREE Professional Network template to print and record your important contacts. You can also access this Evernote document designed to record your contacts details. You can save this note to your own Evernote. 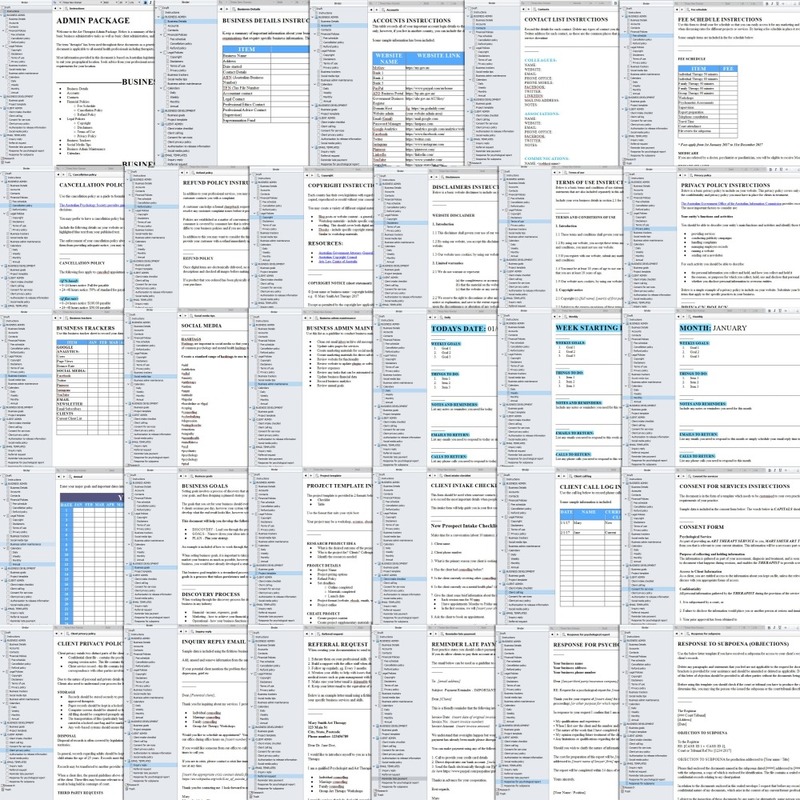 You can view the Evernote document even if you do not use Evernote.